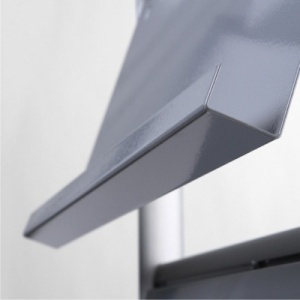 The MultiPocket is a stylish freestanding single sided literature holder. 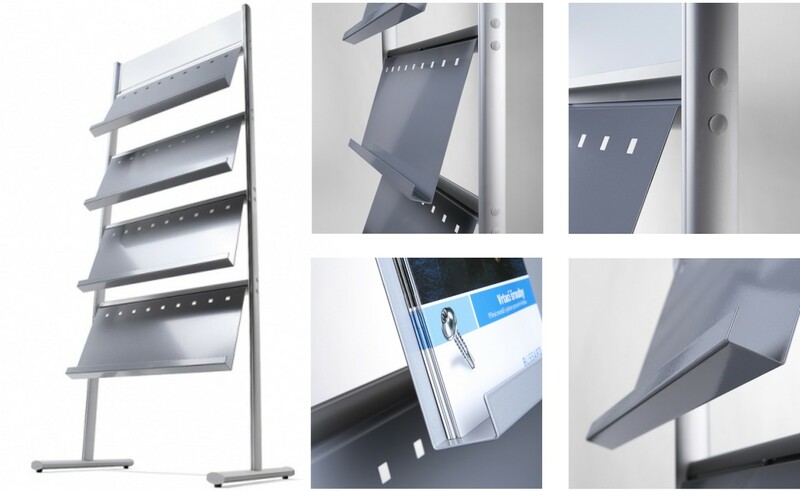 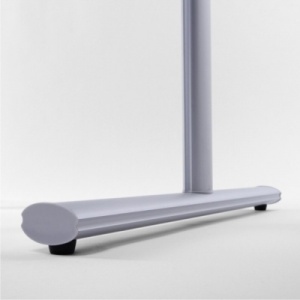 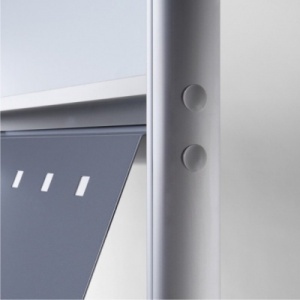 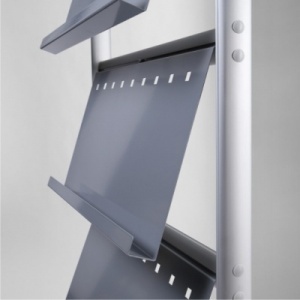 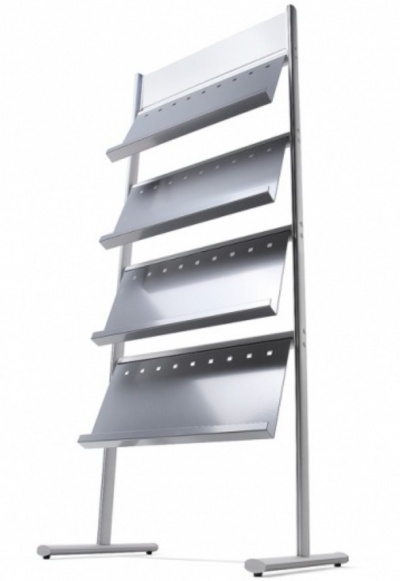 With silver anodised posts, feet and crossrail it comes supplied with 4 durable steel painted slot in brochure shelves. 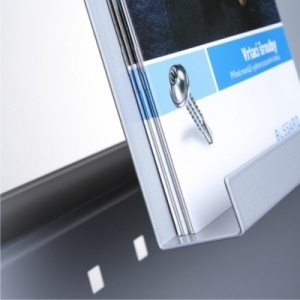 The MultiPocket Literature Holder features a 160mm deep Foamex Header panel for extra branding / vinyl graphics if required. 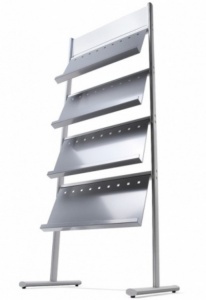 The steel shelves will display 12 x A4 brochures face on.